The McCormick-Stillman Railroad Park offers perhaps one of the most unique Kids Party Venues in the country. Located in Scottsdale Arizona, the Railroad park is the perfect attraction for those kiddos who love anything and everything railroad! From the rides on our Paradise and Pacific Railroad and Carousel, or playing on several playgrounds and visiting the shops and museums – activities and adventure abound at the park. 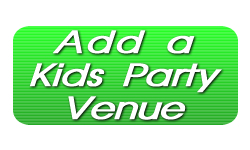 Call today or visit our website for more information on our Birthday Party Package and how to plan your outing.